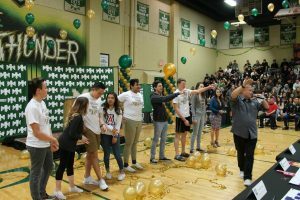 BULLHEAD CITY—More than 70 Mohave High School students signed commitments Thursday for post-secondary education or training after graduation. The commitments are for four year universities, community colleges, technical and vocational programs, apprenticeships or the military. Additional commitments are expected from students in the remainder of the semester. 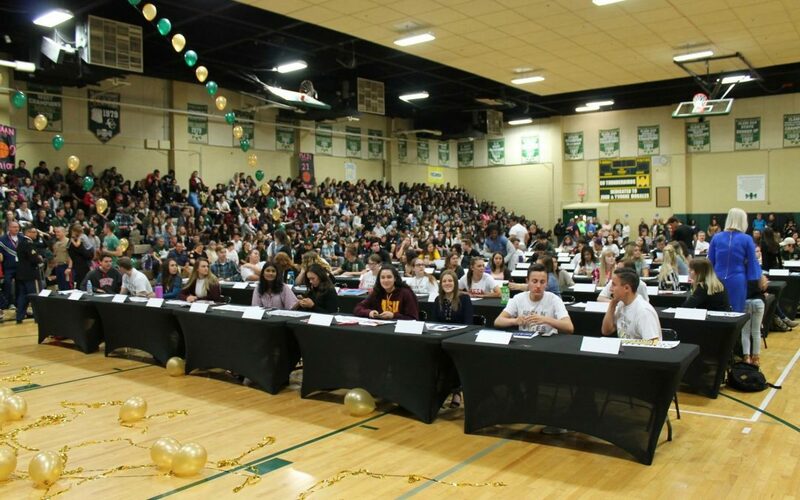 A majority of the MHS students are attending Arizona, Nevada or Utah schools. One senior, Deekshita Kacham, has received a scholarship to attend the Massachusetts Institute of Technology. A motivational speaker advised the students to aspire not just to make a living, but to make a difference. The signing ceremony was organized by GEAR UP, a federally-funded college-access program established to significantly increase the number of students from low-income communities who graduate from high school prepared to enter and succeed in post-secondary education or the workforce. 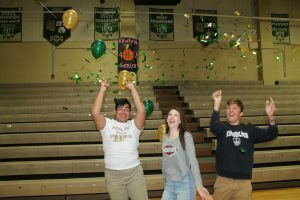 The program for Mohave and River Valley High Schools is administered through Northern Arizona University. River Valley’s senior signing day is next Thursday.